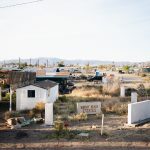 The thumping bass of deep house music echoes off the Salton Sea, blaring until daylight and mingling with the occasional whiff of decaying tilapia. 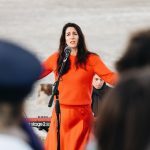 Early one morning, a crowd of people makes its way onto Bombay Beach for a sunrise performance by Iranian-born opera singer, Ariana Vafadari. 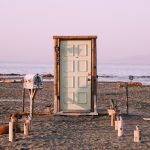 Set against the post-apocalyptic landscape, Vafadari’s performance before a bleary-eyed audience is the sort of otherworldly moment the Bombay Beach Biennale has become known for. 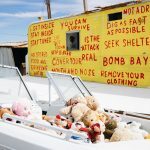 Founded in 2015 by Lily Johnson White, Tao Ruspoli and Stefan Ashkenazy, the Bombay Beach Biennale is an immersive celebration of art, music, and philosophy that takes place over a weekend each year on the shores of the Salton Sea. Exactly when it will take place is always a mystery (this year it was March 22-24). Organizers don’t advertise it and they don’t sell tickets. No money changes hands. 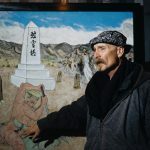 It’s art for art’s sake, and an effort to revive a broken town. In the 1950s and ’60s, Bombay Beach was a thriving holiday destination. 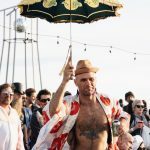 Guests (including the Beach Boys and Frank Sinatra) swam and water-skied in the sea during the day, then partied at the yacht club into the night. 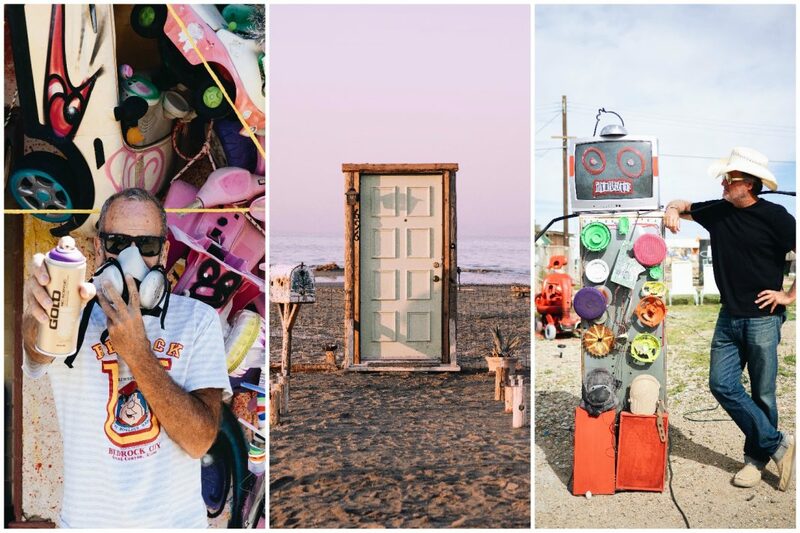 Today, Bombay Beach looks more like a scene out of Mad Max, and is home to a population of just 250 residents. 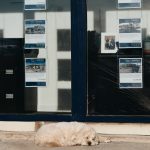 While the Biennale only lasts a few days, it aims to leave a lasting mark on the local community and revitalize the town by turning it into a year-round destination for art. 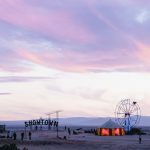 But for those who manage to hear about it in time to make the scene, the event itself, the art, the imagery, the people, the light, the music, the juxtaposition of world class art set on the shores of an endangered lake (California’s largest), is unforgettable. 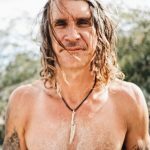 Follow photographer April Wong on Instagram at @alovecreative. 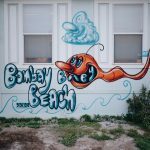 ‘Bombay Boom’ by artist Kenny Scharf. Created with discarded toys Scharf collected over time, ‘Bombay Boom’ highlights our gluttonous over consumption of plastic. 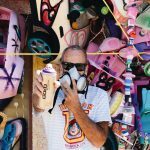 Born in Los Angeles, legendary painter Kenny Scharf is known for his cosmic caverns which feature fluorescent glow paint, graffiti tags and everyday objects reimagined as cartoon personalities. The caverns come to life under black light. The Bombay Beach Biennale flag flies above Dadaonysus’ atheist church. The property is also listed ‘for sale’ by ‘Sotheby’s International Reality’. 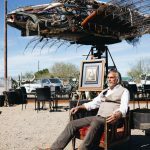 Artist Sean Guerrero and the ‘da Vinci Fish’, a collaborative sculpture designed and constructed with metals, fibers, wood and ceramics salvaged from the Salton Sea by Guerrero, Royce and Nita Carlson and John Murphy. Jae and Judy Fella with their dog, Pickles sitting beneath a piece by Margaret Keane inside the Bombay Pickle, a gallery featuring work by Luke Pelletier, Frank Chu and Jae. 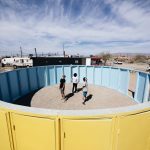 The Bombay Beach Estates features a curation of spaces and installations including a natural history museum, hookah lounge with live music and a floor-to-ceiling graffitied concrete bunker where deep house music can be heard from a while away. 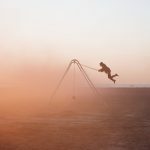 An attendee dressed in a lucha libre mask and shorts poses on swing in the Salton Sea. Artists James Ostrer and Melody Sample with one of Ostrer’s works at his ‘Finding Me Through You’ exhibition. 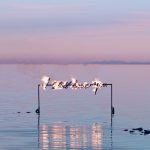 Formed by hand in metal tubing and fed with propane, ‘I Still Love You’ by Olivia Steele was lit up each dusk and dawn during the festival. 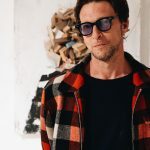 NYC contemporary artist Greg Haberny and his self portrait inside ‘Foundation Foundation’, a transformed space where walls, floors and ceilings were mopped with white paint and white painted sticks and twigs hung from the ceiling. 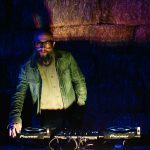 Acclaimed DJ Jeremy Sole plays a set at ‘Showtown on the beach. A burlesque dancer at The Toledo Show, an act featuring Toledo Diamond, a soul singer, jazz man, and poet. 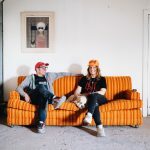 ‘Dooratorium’ and its creators, architects Ben Crawford, Tyler McMartin and Curime Batliner. An attendee dances to live music after a parade. 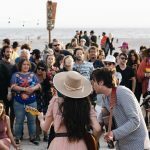 Attendees enjoy live music by the beach. 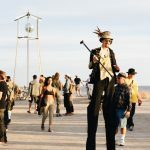 A stilt walker amongst stands out from the crowd while Steve Shigley and Tao Ruspoli’s ‘Disco Lighthouse’ is seen in the background. Another stilt walker poses for a photo at the beach. Artist and photographer Joe Regan and one of his pieces, ‘Brian’, who speaks seven languages. 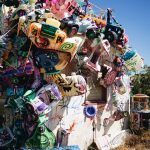 ‘Brian’ was constructed with things left by a Bombay Beach resident named Brian. Joe Regan’s ‘Bomb Bay Shelter’. 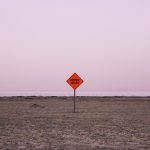 It’s said that Bombay Beach got its name as the military once used the Salton Sea as a testing ground for bombs during WWII. Costumes and creations of all kinds were worn by attendees throughout the weekend. 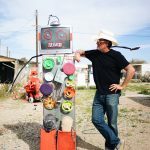 Artist Steve Shigley, known as ‘Shig’, created the Bombay Beach Disco Lighthouse with one of the event founders, Tao Ruspoli. 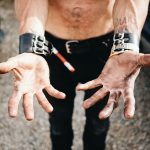 The hands of ‘Shig’, a self-taught abstract metal sculptor, fabricator and painter. 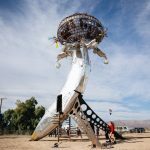 Randy Polumbo’s ‘Lodestar’, which has also appeared at Burning Man and the Coachella Valley Music and Arts Festival. 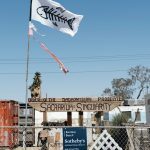 A Kenny Scharf piece on Lily Johnson White’s property, a philanthropist and one of the three founders of the Bombay Beach Biennale. 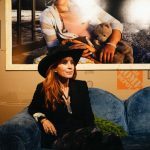 Johnson White’s property was transformed into an installation called ‘Everybody is Somebody’ featuring photographs by Kathy Sherman Suder and her son and journalist, Jason Suder, that dignify members of homeless communities in America. 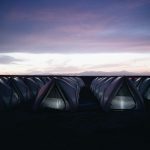 Everybody is Somebody: Ghost Camp is an installation of 100 illuminated tents is an homage to the homeless and refugees all over the world. After the exhibition, the tents will be donated to those in need. Artist and photographer, Kathy Sherman Suder. 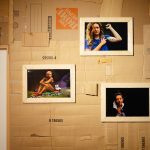 Walls inside Johnson White’s home were lined with cardboard to imitate the look and feel of what it’s like to be living in a box. 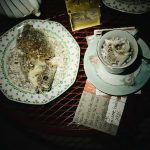 Servings of tilapia remains found on the shores of Bombay Beach on offer outside the Polaroid Museum. Artist Dadaonysian in his atheist church made with three shipping containers. The church – in praise of science, featured paintings by the artist including Nicolaus Copernicus as Jesus and Stephen Hawking. 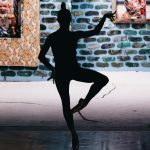 Maria Kochetkova, a Russian ballet dancer with the San Francisco Ballet and American Ballet Theatre performs at the Bombay Beach Opera House. A sign from ‘Public Display of Awareness’ by Olivia Steele. Established in 2014, there have been over 50 signs erected across 3 continents and 8 cities. 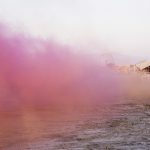 Colored smoke grenades were released on the beach as the sun came up. 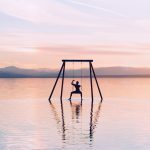 An attendee swings at The Swing & Slide Playground, an Olivia Steele installation featuring an industrial slide and swing set repurposed with LED and chrome, set against the backdrop of the Salton Sea. A door to nowhere… or anywhere. 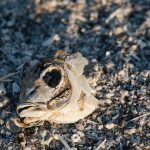 A tilapia skull on the beach. Millions of these fish have died and corroded on the beach since 1996. 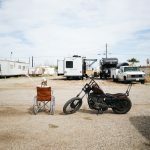 Attendees set up camp for the weekend in RVs, vans and cars on the streets of Bombay Beach.